The ‘New Old’ pop-up exhibition at the London Design Museum (12th Jan to 19th Feb 2017) explored issues relating to Britain ageing. We were tasked with producing the exhibition’s centrepiece display, a stunning giant 3D bar graph of different coloured acrylic columns. 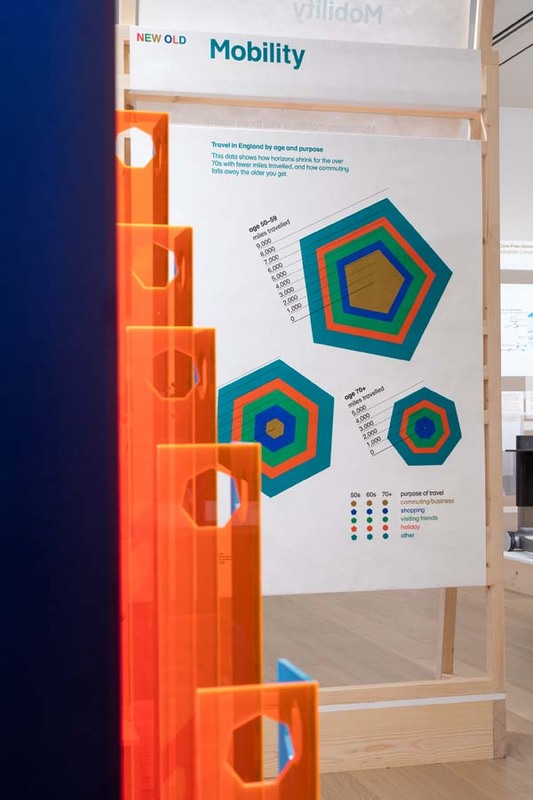 The infographic display was a blast of colour with the columns representing the UK’s estimated ageing population and projections between 2014 and 2039. Curated by Jeremy Myerson, the show highlighted the huge social change that we’re inevitably going to witness and included everything from robotic clothing to artificial intelligence. Staggering statistics were brought to life such as the over 60s already outnumbering the under 16s in the UK and half of Europe’s population predicted to be over 50 by 2020. 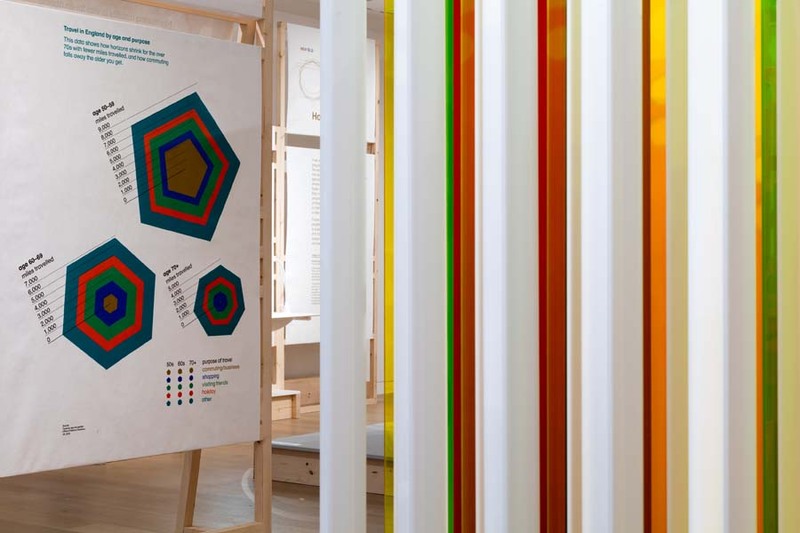 The exhibition also looked at how other countries like Norway and Japan, (the worlds most rapidly ageing country) are shaping developments with an age-aware approach to design. When our client, Lucienne Roberts Plus came to us, they had a very clear creative vision for the project. 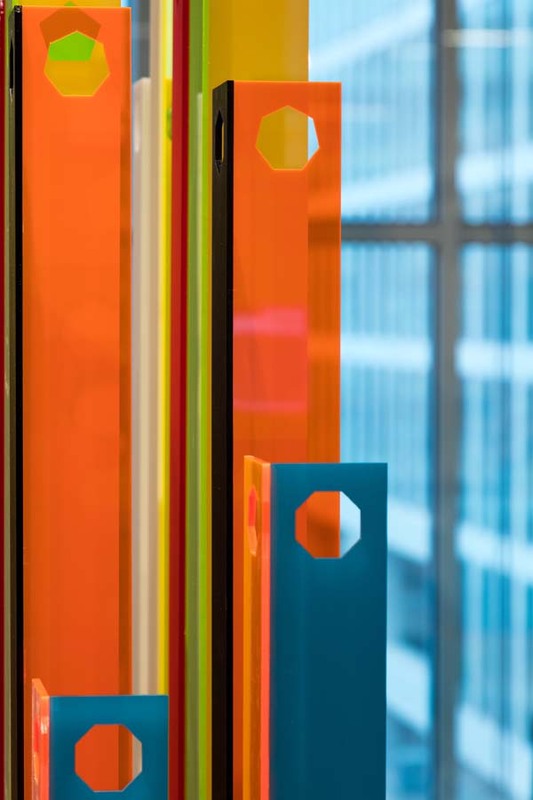 We worked to a specific brief in terms of colour and materiality and closely collaborated with them discussing various options for fabrication and the best available methods. The piece was designed for easy transportation, assembly and storage by making each acrylic column removable with an engraved number hidden at the bottom. This coding method ensured the infographic would always be assembled correctly ever after. The project took two weeks to fabricate and enabled us to work across a variety of processes; laser cutting, CNC machining, spray painting, Perspex fabrication and woodworking. The centrepiece 3D infographic we produced helped transfer information in a succinct way and encouraged people to interact and participate in a very thought provoking exhibition.